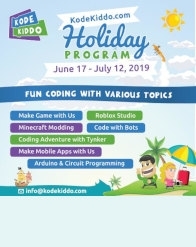 KodeKiddo Holiday Program for 7-16 years old. Don’t know how to spend your holiday time? Want to do something fun while learning coding? Join KodeKiddo Holiday Program for 7-16 years old.